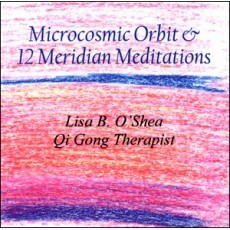 The Microcosmic Orbit and 12 Meridian Meditations are two of my favorites and I have been teaching them for years. These meditations will guide you to lead your energy through your meridians, the body's energy pathways and will enhance your wellness and sensitivity to energy to a very deep level. The Microcosmic Orbit balances your body's yin and yang nature and strengthens all of your internal organs. The Twelve Meridian Meditation clears out all of your energy pathways to allow your body to better heal and prevent illness.